THEY may not be in time for the 2007 World Cup but, by 2011, a generation of young England players hope to be gracing the world stage and setting an example of the art of the possible. Not every undergraduate of the RFU’s Junior National Academy will make it to the top but, by imbibing the principles they are learning there, they will understand more about rugby and, on the way, more about themselves. 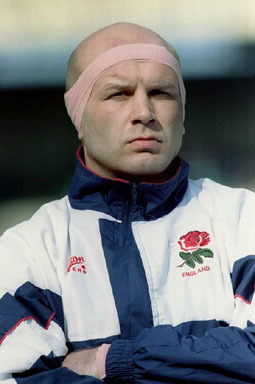 Redman, the former Bath and England lock, is one of the RFU’s academy coaches poised to put his beliefs into operation. He will take an England under-19 team to play Leicester Academy next Wednesday, then repeat the exercise against Worcester on January 25, before the under-19 six nations championship gets under way against Wales on February 3. Already his youngsters have played Leeds Academy and, at Gloucester last month, Australia Schools, who won 24-12 in appalling conditions. But Redman, controversially in some eyes, insisted that his players maintained the principles he has laid down for what he regards as training games rather than ends in themselves. The theme for the Australia game was attacking in midfield and yesterday, Redman was hard at work analysing the elements of that theme that worked and those that did not. In addition to his work for the RFU, Redman also enjoys a role as tactical analyst for Sky Sports, maintaining a link with Stuart Barnes, his former playing colleague. Barnes has strong views on how England’s senior side should play the game; so does Simon Halliday, now an RFU council member, Jon Callard, himself an RFU academy coach, and Richard Hill, head coach to Bristol. All these players appeared for Bath during the days when they dominated the English game. “I’m a big fan of the way we used to play at Bath, of the way Toulouse play now and how England played just before the 2003 World Cup, when they were offloading, hitting space, varying the pace and tempo of the game,” Redman said. His work is not done exclusively at the academy training camps at Bath University, but also with the players in their club environment. Each of the RFU coaches acts as mentor to a group from the senior and junior academies. For example, David Tait, the Sale Sharks back-row forward, is one of a number of players under the wing of John Wells, the former Leicester coach. Tait, 18, made his senior debut against Leicester in November. He is combining his rugby with a history course at the University of Manchester, making up in his own time the gym work lost to studying. “When the opportunity to go full-time with Sale came, I snapped it up,” he said. “I structure my week so that, on heavy training days, I don’t have so much university involvement. It’s difficult when your friends are having a few late nights, but that’s OK.
“The benefits are there, you see what you can achieve, with the players at Sale and a national academy camp. It’s not just the work with one coach there but the whole level of professionalism.” The chance to put into practice what he has learnt will come in the six nations and, from April 4 to 21, the World Under-19 Championship in Dubai.